You don't know how she does it! Juggles multiple roles tirelessly and gracefully. 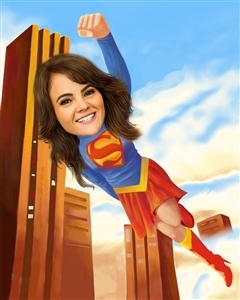 Show her how much you admire her Supergirl abilities with this fun, empowering caricature! The end product looks awesome! Can't wait to give it to my goddaughter!